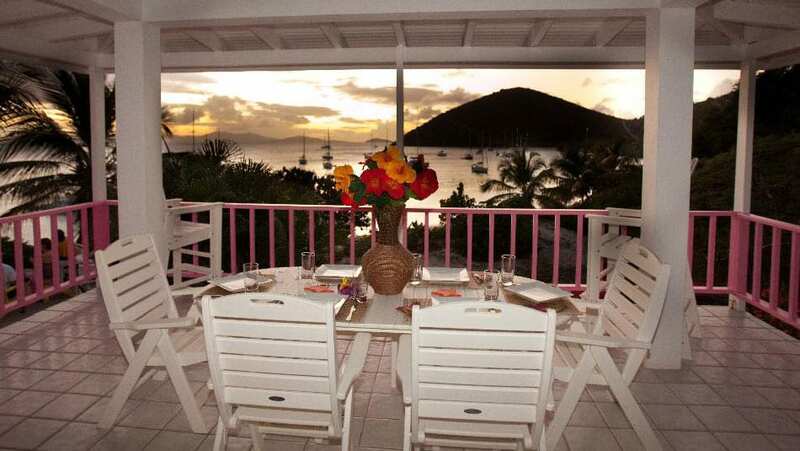 Finding the perfect rental accommodation in the BVI can be a different experience than searching property markets in other places, so we recommend that you keep an open mind when viewing potential homes. There are a limited number of desirable rental properties available at any one time, so if you set your heart on a specific bay or will only live in a house with a generator, you are narrowing your options. One thing that’s almost guaranteed with any property is a good view; the majority of the rental properties in the BVI have a fantastic ocean view. All property hunters like to have a wish list. Some things on your list are going to be fixed, like needing a minimum number of bedrooms or the fact that you need a place to accommodate your big dog, but others will be “wants” like swimming pools, air-conditioning or a dishwasher. We would advise you to limit your expectations and keep the ‘must-haves’ to a minimum for an easier search. Don’t narrow down a specific search area for a rental – if you only have four weeks to find somewhere you are going to need to be open to different ideas. The best way to define your search parameters is to bear in mind factors that will be fixed such as your work and schools. Maybe decide how long you would be willing to commute for – ten minutes? half an hour? This will determine the radius from work within which you should be looking. Everyone finds them shocking at first, but most people adjust to them. We often get new arrivals saying that they only want houses with easy driveways or on the flat, but try not to let the scary steepness put you off. You will soon get used to the gradients and find yourself doing 3-point turns on a precipice without batting an eyelid. Check that there are mosquito screens on the windows of the property you are looking at. Sometimes these may be absent in a kitchen or sitting room. Do the bedrooms have screens? If you are looking at a property where rooms are more indoor/outdoor, then try to visualise where you will be able to sit in the evening if the bugs are swarming and you need refuge. Note whether there are screens on the balcony doors. If the windows are large then you may be able to get adequate breeze inside without the doors being open, but make sure there is enough air flow, otherwise you will be hot as well as itchy. Properties with lots of breeze are generally less buggy, as are light properties and sealed modern ones with no cracks and good windows and screens. That said, you may find a mosquito in even the most high-end of establishments, so you will have to accept that they are part of life here. Pest control – is this provided by your landlord or will it be your responsibility? Regular pest control service is essential to keep your rental property pest-free. Homes that are made up of more than one building are common in the BVI, in part because of the steep hillsides and because some owners like the idea of having large areas of outdoor space for entertaining in between bedrooms. Whilst these houses are often very attractive, they mean that different members of your household may not be under one roof at night. If you have young children this might be awkward – think nightmares, ill kids, power cuts or rainstorms. Many families have made these houses work for them with baby monitors, walkie talkies, and even just by accepting that life here is a bit safer and more relaxed than in other places. Most expats don’t drink tap water in the BVI unless they have a UV filter. Many households purchase an office-style water cooler machine and refill the bottles from conveniently located and reasonably priced water machines. Mains water is not available in every house on the island, so we are very reliant on catching and storing rainwater. Rain runs off the roof into guttering and into a catchment container under the house called a cistern. Generally, do not consider renting a house without a cistern, since the mains water supply can be unreliable at times. Notice if there are shutters on the doors and windows and ask who is responsible for putting them on in the event of a storm. The frequency and length of outages vary, but Murphy’s Law dictates that they usually occur just as you have started watching a movie, put the baby to sleep, or sat down to dinner. Some properties have generators, many of which switch on automatically, but check who pays for the fuel and maintenance. Usually the tenant pays for the fuel and the landlord the maintenance. – Is it child proofed or is it possible to make it so? Even if you personally don’t have kids, is there a way to shut it off if you have guests that do? – Who maintains it? It costs about $250 per month to pay for a pool service. Usually the tenant pays for this. Clarify who pays if there is a leak or a broken pump. Who pays for the water to refill it? – Look at the position of the pool relative to the breeze and nearby trees. Steady winds will cool the water considerably, and an abundance of leaves can be a maintenance headache. – Gardens here can vary from concrete yards to lush tropical fruit trees and colourful flowers. Usually the landlord pays for the gardener, but clarify how often they come. If there are fruit trees nearby then this can attract vermin so it is important that they are trimmed back from the house and attended to regularly. Generally, you need fans in all rooms, unless a property is very high up and therefore cool. AC can be helpful in the bedrooms, but don’t forget you can buy window units yourself and put them in, or even ask the landlord if they will do it. Many cheaper properties don’t include laundry facilities, but there are numerous laundromats and launderettes around the island, some of which offer a serviced wash option. More and more properties come with dishwashers but don’t forget that if you are relying just on rainwater, you may not use it as much. Some of the areas that are high up on the island are prone to mould. If you have asthma or an amazing collection of handbags and leather shoes then this may not be the area for you. Conditions are almost rainforest-like, so if you don’t enjoy a warm, damp jungle climate, then don’t choose that area. Many properties, due to steep balconies, pools, etc. may initially seem unsuitable if you have small children, but most landlords are amenable to you making properties safer through the installation of stair gates, balcony netting and furniture latches. Many childproofing materials can be bought on-island or ordered on the internet. Many landlords do not welcome pets. If you have an animal that will reside here with you, or you intend to adopt an animal from the Animal Shelter, then you may have to sign an additional agreement with your lease and pay a deposit of, on average, $500 per dog. There are several agents on the island that can help you find a rental property. The agent’s fees are paid for by the landlord, not the tenant, so you will not incur any fees for your rental search. You are free to work with several agents or just one. If you would prefer to work with a single agent so that you only have to brief one person of your requirements, then they can show you properties from their own and other agents’ listings. The majority of rental properties are managed by the landlord directly, so once you have been introduced to the landlord you will not need to contact the agent for issues relating to the house. Most leases run for 1 year, but sometimes a landlord will agree to a shorter lease if needed. Generally, leases tie you to the agreed duration unless you have to leave the BVI and not return, or no longer have a work permit and will no longer be residing in the property, so if you have to leave the BVI, you will have to give 2 months’ notice to break the lease. If you just decide you don’t like your rental property, then you cannot apply this clause. – Fully furnished – includes furniture and linen, towels and kitchen flatware (cutlery), utensils, pots and pans etc. – The South Side – overlooking the Sir Francis Drake Channel and outer islands running from Virgin Gorda to St John in the USVI. 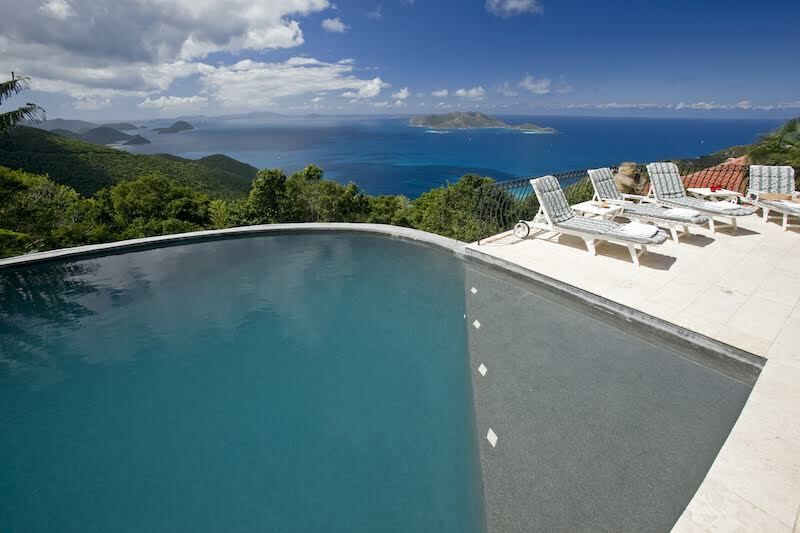 Many of the houses that are rented out in the BVI are also for sale. There are a large number of houses on the market here and it is very common to rent a house that is listed for sale. Your lease will specify the notice period that an agent must give you for viewings, and the notice period for terminating the lease if a sale is agreed during your tenancy. In practice, property transfers can be a slow process, and it is unlikely that you would have to vacate the property before your lease is up. 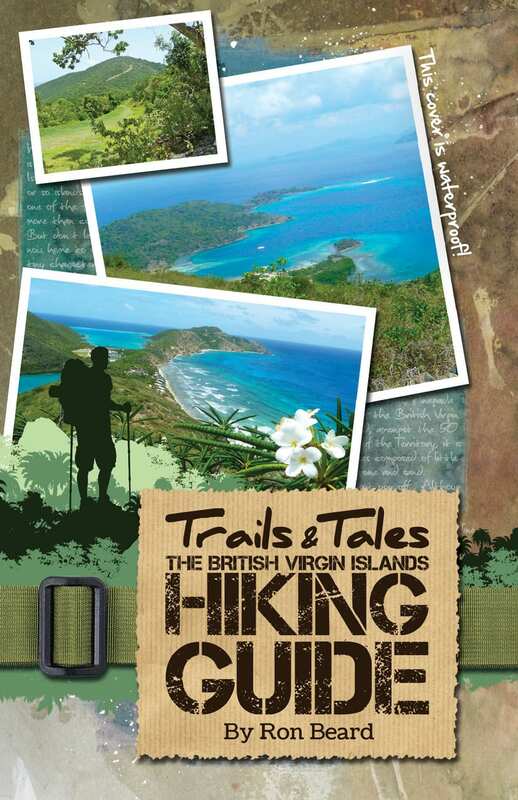 Choosing a place to live in the BVI can make the difference between liking and loving the Islands. It’s recommended you find a spot that feels like home the minute you walk through the door. Remember, this is the place where you’re going to be eating, sleeping, relaxing, entertaining and recuperating. Make sure you love it. Neighbourhoods can also make a big difference varying from social spots to places of solitude. Before you move, review the classified ads and the different BVI real estate agents’ websites to get a feel for pricing and what’s available. Once you arrive, drive around different neighbourhoods and talk with people that live there or ask your co-workers what they like about where they live. Newbie Tip: Having a vehicle makes a huge difference and can play a serious role in how much you enjoy where you live. As a non-driver, I chose to live in town, within walking distance to my work and amenities. However, my favourite hang out spots are in Cane, which made the journey over the hill much more frustrating at night. I was happy when I got a place right across the street from the CGB beach and could walk home within a minute from my favourite restaurants and bars (plus it was nice to wake up and go for an early swim) FYI- it is easier to organise a carpool during the day than it is begging for a ride late at night! The most satisfied tenants tend to be the individuals who choose lodging based on where they play as opposed to where they work. Surfers are happiest living near Josiah’s Bay, Apple Bay or Cane Garden Bay. Beach babies prefer a location near Smugglers or one of the North Shore beaches. Boaters and sailors might want to live near one of the marinas. Those who like to party tend to be happiest living near the bars in town. Families with kids like living near the beaches or close to the children’s schools – Nanny Cay and Lambert Beach Resort are great options for families with children—they each have a pool, beach, restaurants, and plenty of space to run around. A furnished apartment is typically fully furnished, including all major appliances, bedroom, living room, and dining room furniture, television, lamps and rugs. Many furnished apartments also include kitchen items such as pots and pans, dishes, glasses, and utensils, as well as bedding. Semi-furnished usually includes a bed and all kitchen appliances and a couch. Unfurnished is often a bare apartment, but can also include major appliances—stove, oven and refrigerator. Expect to pay $600-$1000 per month for a studio, $800-$1500 per month for a one bedroom apartment, $1200-$2000 per month for a two-bedroom apartment, $2000 and up for a two-bedroom house, $3500 and up for a three bedroom house with pool. All these prices are for fully furnished accommodations. Unfurnished rentals will cost less. If you find a property that you really like, but stands a little out of your budget, the freedom to make an offer you can afford is always at your disposal. We have heard of many situations where offers have been made on properties that were considerably lower than the asking rental rate. In one of the rare cases, the tenant was able to acquire a rental agreement $1000 less than the asking rate, but this may mean adding the task of maintenance e.g. cleaning the pool on a regular basis.